It’s Day 23 of National Blog Posting Month and Madge is going to the birds. With Thanksgiving upon us, Madge’s thoughts turn to bird hats. A fashion phenomenon that once was so popular it decimated several species of birds, these hats were all the rage in the late 19th to the early 20th century. By the 1920s the use of real birds had greatly diminished due to bans in most countries including the United States. 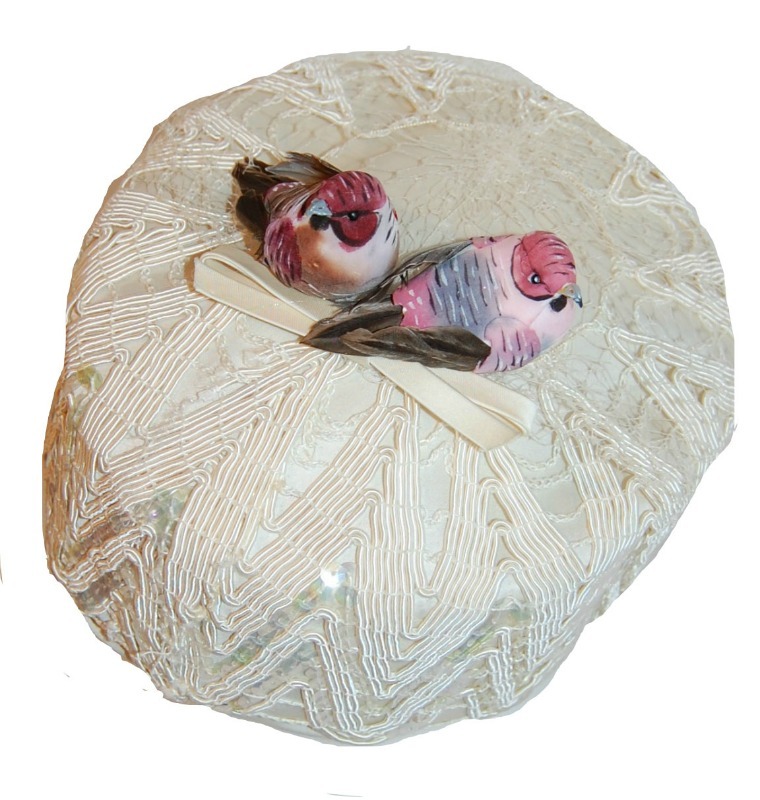 After that bird hats continued to wax and wane in popularity but now made with either artificial birds or real feathers using domestic fowl such as roosters and pheasants. Today these hats are highly prized by collectors. 1940s Roberta Bernays, black felt, rhinestones & hackle feathers. Available at MadgesHatbox. 1950s Red, Blue & Black Feathered Breton. Available at MadgesHatbox. Blue and Silver Feathered Fedora, 1960s, available at MadgesHatbox. Hackle feather bucket hat, 1960s. Available at MadgesHatbox. Well, a cockle-a-doodle-doo and see you tomorrow.